Robinswood Park is a fantastic venue for beginners, thanks to distinct features in the landscape, such as well-groomed trails, a well-defined pond, buildings, open grassy areas, and paved paths. Robinswood Park is a beginner-friendly city park, with a mix of open fields and well-groomed trails in a small forest. Navigation decisions are generally limited to which trail routes to take. 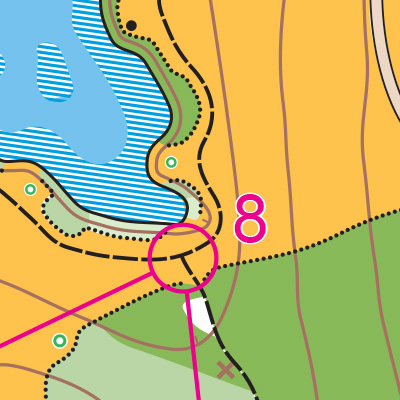 Robinswood is relatively flat, with only one hill of any note. Since little off-trail travel is possible, there is little to hinder full-speed running. Take exit 11B and continue onto 148th Ave SE. In less than half a mile turn right on SE 22nd St. Enter the parking on your right. At next intersection, turn right on onto 148th Ave SE.